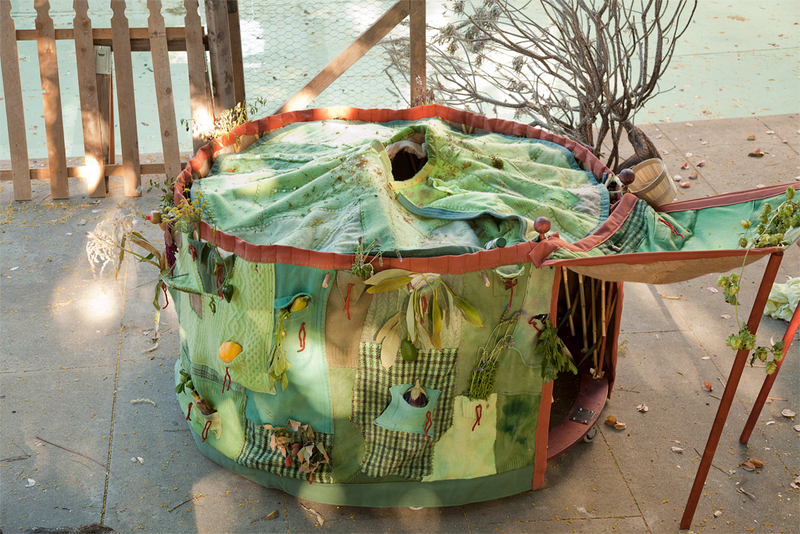 First conceived during an art residency at the McMichael Gallery in Ontario where the pockets were filled with local edible plants found in the surrounding park. 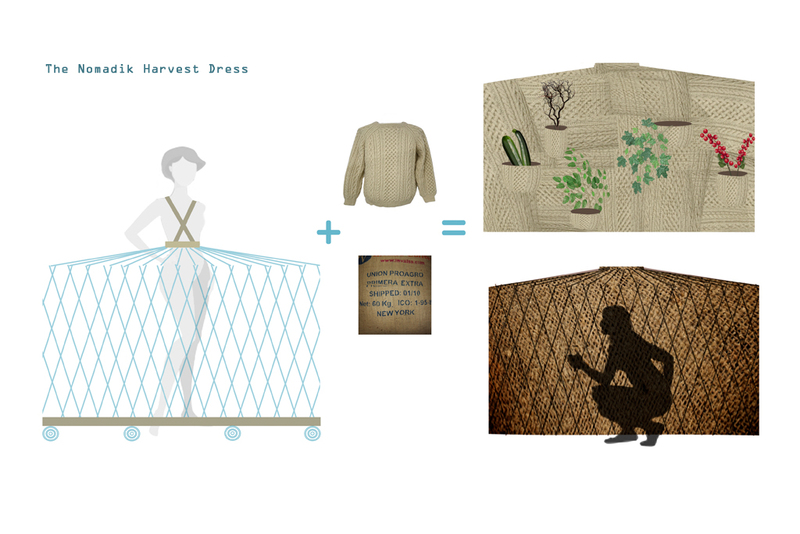 The skirt is created from a folding bamboo fence and Willow struts sewn into a wool waistband. 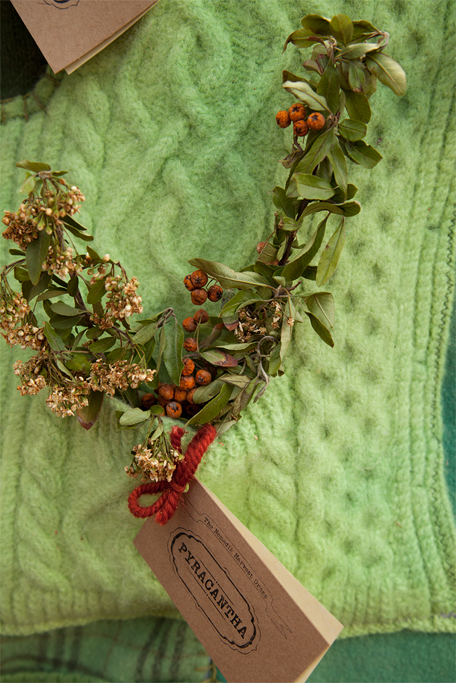 The traditional felt outer covering is replaced with crazy quilt of woolen sweaters, which have been shrunken and dyed. 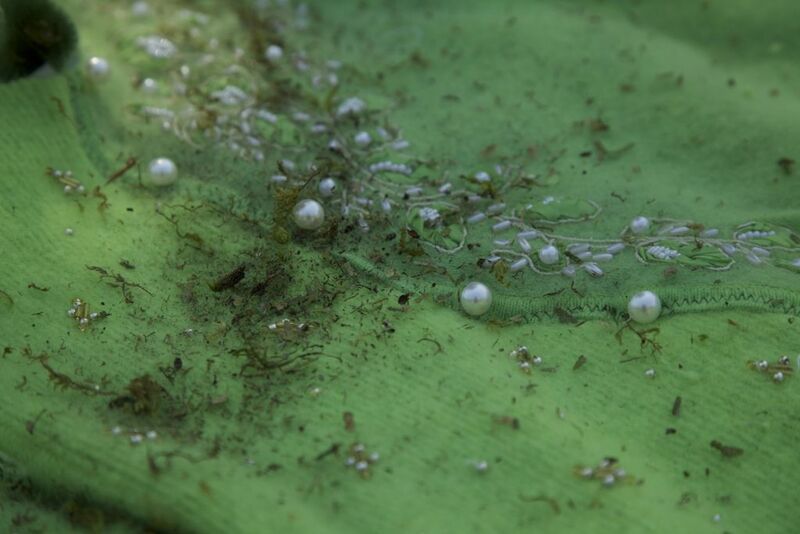 Original pockets from the sweaters are used to house the plants. 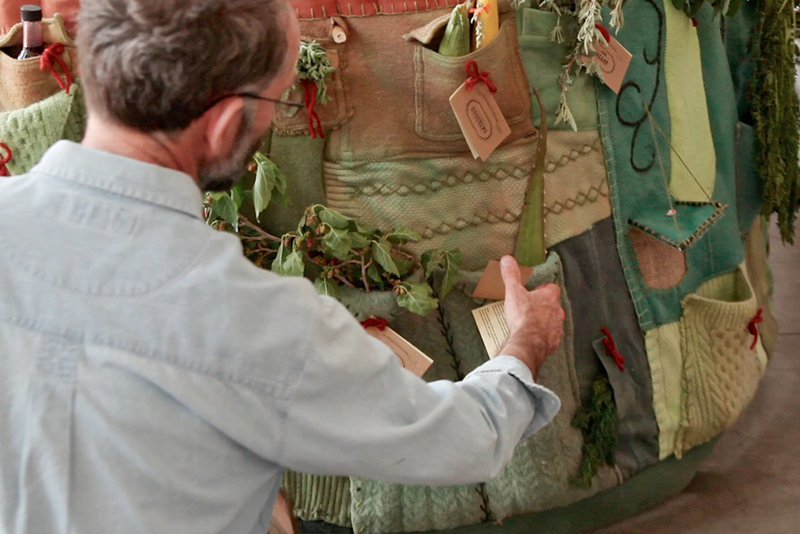 The public is invited to engage with the dress through its numerous tags, which contain vital information about the plant’s nutrition and history. Cholla buds are an edible cactus, which have long been used by the native tribes of the region. 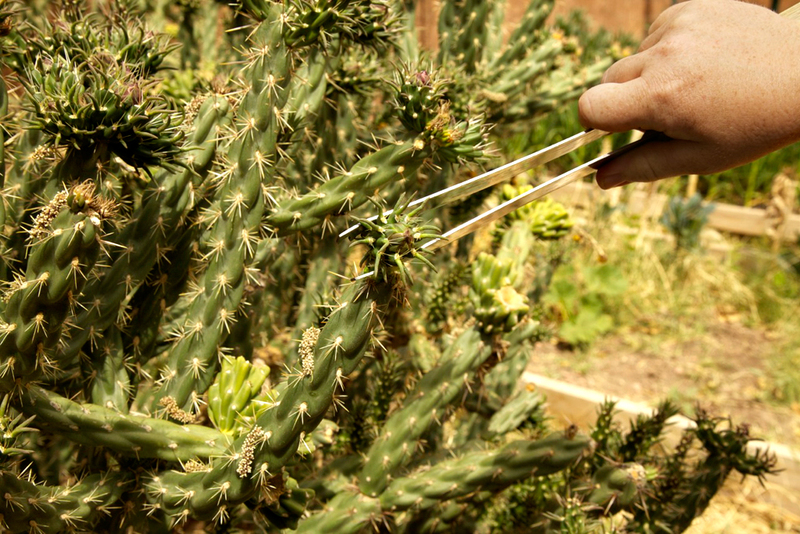 The spines are removed after picking. 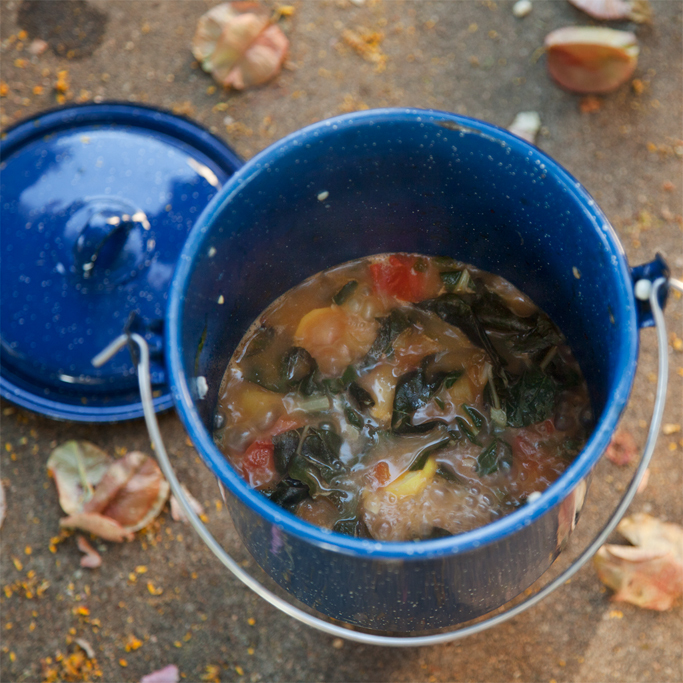 Preparing vegetables gleaned from the Fullerton Arboretum in California. 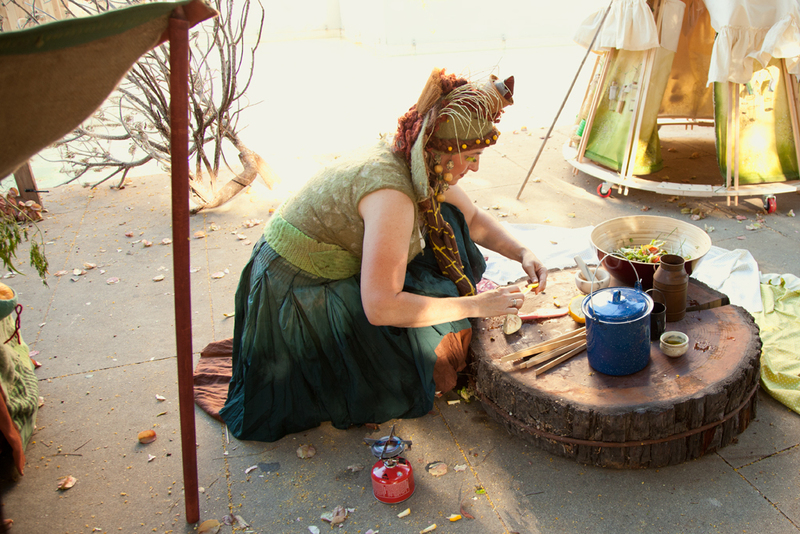 A hearty soup is made from the veggies in the dress and shared with the public. 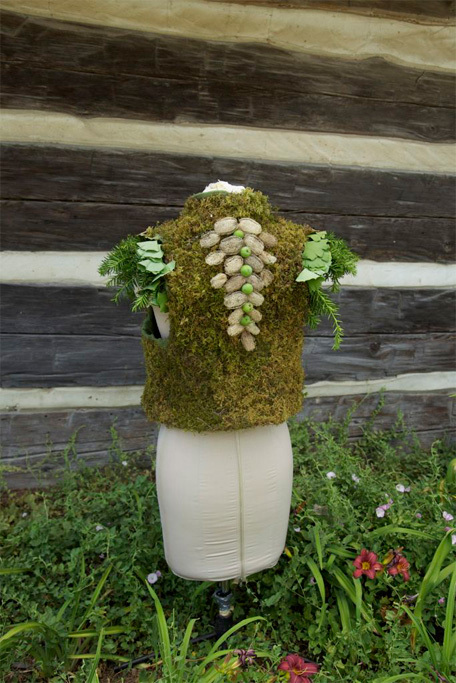 The dress comprises a vest made from live moss, seen here from the back. 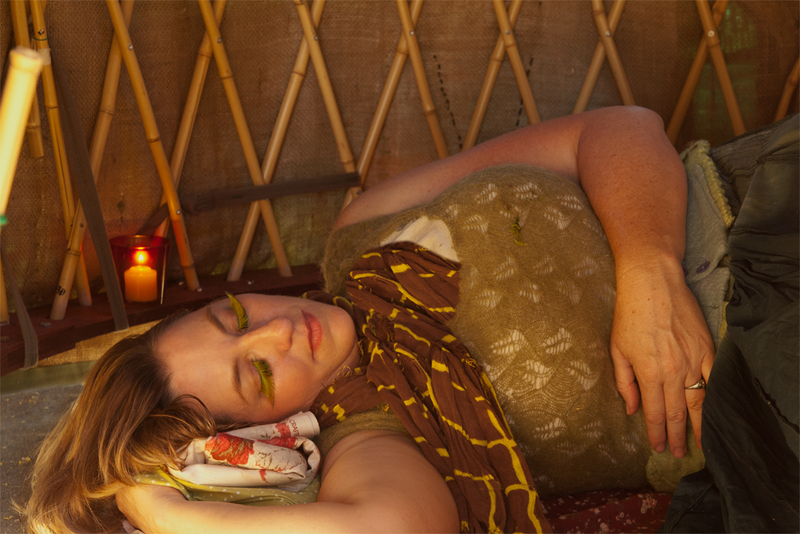 The wool membrane lined with burlap creates a warm and water resistant tent for sleeping. 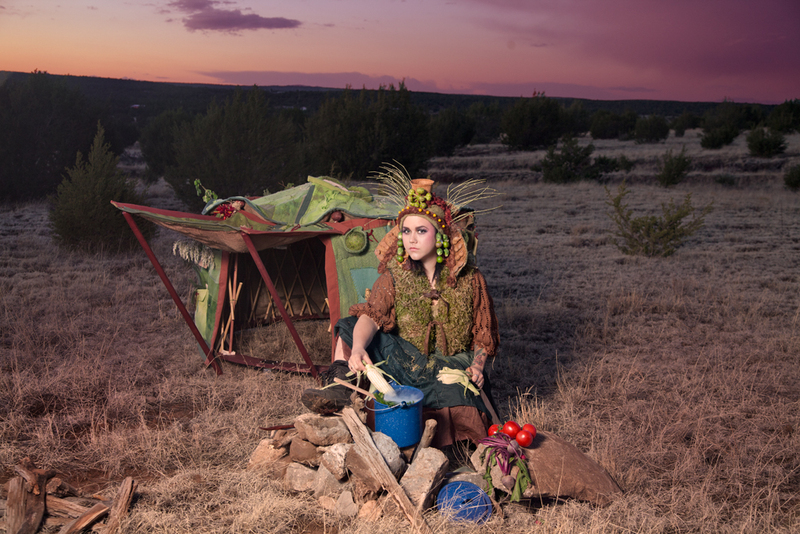 The Nomadik Harvest Dress is a mobile foraging outfit equipped with over 40 pockets to store comestibles and a small camping stove for cooking. 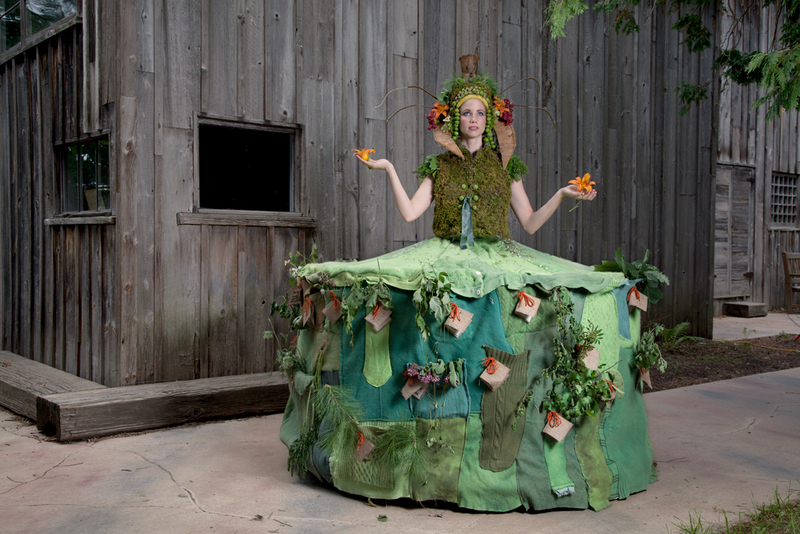 Wherever Mlle Cornucopia travels she collects local edible plants and shares her knowledge through the extensive informational tags on her skirt. The skirt is based on the efficient and portable design of the Mongolian ger (yurt).